St. Paul, Minn. (May 6, 2014) – EcoWater Systems®, a Marmon Water/Berkshire Hathaway Company, is pleased to announce the expansion of its commercial business product line through the acquisition of the Controlled Hydrodynamic Cavitation (CHC) technology and operations from VRTX Technologies of Schertz, Texas. 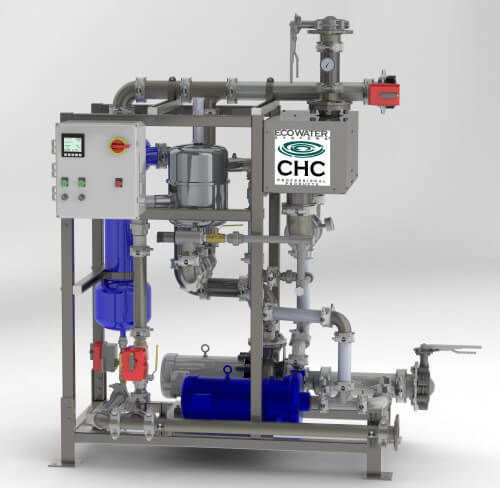 CHC is a proven environmentally-friendly water treatment technology used in HVAC, process cooling and refrigeration systems to effectively control scale, biological growth and corrosion without the use of chemicals. Adding CHC technology to a cooling tower saves energy, reduces water consumption and maintenance costs, and minimizes or eliminates sewer discharge volume. 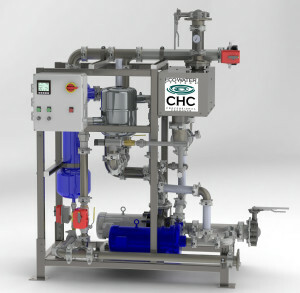 For more than 15 years, VRTX Technologies has been a world leader in CHC chemical-free water treatment of cooling towers and evaporative condensers used in government buildings, hospitals, schools, chilled water plants, manufacturing facilities, cold storage warehouses, casinos and data centers. Production of CHC technology systems will continue to take place in Schertz, Texas, and plans are underway to transition the systems to the EcoWater brand. For more information, visit www.ecowaterchc.com.